Solar developers come handy when it comes to developing complex solar projects such as commercial solar projects. With regards to project financing, their role is to assess project costs and determine project-financing schemes that are suitable to make a specific solar PV project bankable. In addition, solar developers have different ways of using a combination of these sources of financing or as a standalone and sometimes solar developers would work with Engineering Procurement Companies (EPCs) to structure project financing instruments that will achieve a higher return on investment (ROI). In the USA, the common solar PV financing instruments revolve around cash, power purchase agreements (PPAs), and leasing and loan options. 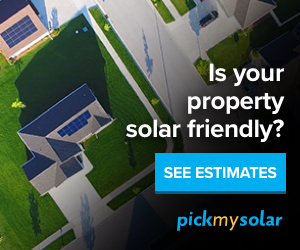 When a solar system is purchased using the cash option, the savings to the end-user is higher compared to those projects that are developed under PPA and loan arrangements. Under the PPA, the end-user does not own the PV system, but solar investors through a third party agreement do own the system and the end-user makes payments per kWh consumed. PPA and leasing financial models are almost similar, but in leasing the end-user makes a recurrent payment for using the hardware equipment (solar PV system). The loan option involves making a regular payment toward paying to eventually own the solar power plant. Under the loan option, the end-user will enjoy savings once the system has paid itself or after the payback period. Since the upfront cost of a solar PV system is high, most governments use de-risking instruments to assist to bring down the cost of solar to a level where the ROI is suitable for investors or reduce the risk of the project and encourage private sector finance. In the USA, the Federal and State governments use tax credits to attract private sector finance in solar PV development projects. The federal solar tax credit, also called the investment tax credit (ITC) helps to reduce the cost of installing a solar energy system with 30% that is deducted from your federal taxes. This tax credit is applied to both residential and commercial solar power systems. In other countries, governments and international organizations have developed de-risking instruments, including loan guarantees, grants and other financing mechanisms to reduce or eliminate financial risks associated with commercial solar PV projects. Solar developers in these countries work with these organizations to assist them in grant and loan applications that will help to reduce project financial risks and make a commercial solar project more cost effective or profitable for private investors. If you are looking for assistance on how to go about your commercial solar project and are in search of solar developers to assist you with project financing for your commercial solar project, please fill the form below. Also if you have questions regarding de-risking instruments for solar projects, please fill free to get in touch with us.